Our three attorneys have nearly 90 years of combined experience as lawyers in the state of Indiana, giving them the extensive legal knowledge that can only come with so many years. In addition, both have long records of success, and the respect of both their clients and their peers. Whether your legal need is the result of an accident, arrest or a challenge in one of our other practice areas, you can put your trust in the capable hands of the experienced attorneys at the law firm of Olsen & White, LLP. If you would like to learn more about the services our firm offers, you can do so by taking advantage of our offer for a free initial consultation at our Evansville law office. When you or your loved one suffers serious injuries in a car crash, workplace accident or even at the hands of a doctor, your first priority should be making a full medical recovery. As lawyers, our primary duty is to both protect and assert our clients' legal rights. Nowhere does this duty matter more than when someone has been charged with a crime and faces what could be devastating criminal penalties. When a disability prevents you from working to provide for yourself and your family, you should be able to prioritize your medical recovery above everything else. As Americans, one of our most important rights is the ability to connect with our government, whether it is to get access to important benefits or contest a decision that directly impacts our lives. 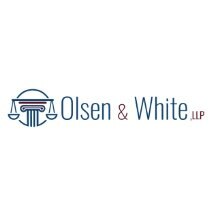 The Law Team of Olsen & White has extensive experience in the practice of divorce law, providing clients in the Evansville area with strong and effective representation.